Division 683 was charter on January 1, 1903 and presently represents members working on the Union Pacific Railroad. Division 32 was chartered on January 1, 1865 and represents Locomotive Engineers working for the Burlington Northern – Santa Fe Railroad. Brandon represents BLET Division 96 which was chartered on January 1, 1869. 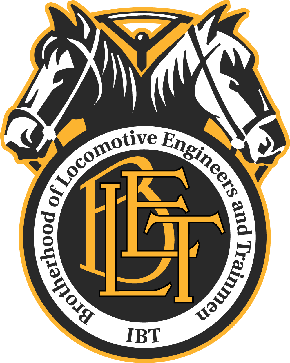 Division 96 represents Locomotive Engineers working for the Union Pacific Railroad Railroad. Jose represents BLET Division 96 which was chartered on. Division 458 represents Locomotive Engineers working for the Burlington Northern – Santa Fe Railroad. Division 24 represents Locomotive Engineers working on the Canadian National / Illinois Central Railroad. Division 444 was chartered on January 1, 1890 and represents Locomotive Engineers working on the Norfolk Southern Railroad. 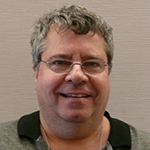 Dan is the Legislative Representative for Division 613 – Dolton, IL. Division 613 was chartered on January 1, 1903 and represents Locomotive Engineers working on the Union Pacific Railroad. 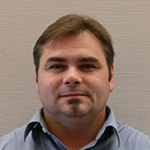 Dan is the Legislative Representative for Division 602 – Champaign, IL. Division 602 was chartered on January 1, 1903 and represents Locomotive Engineers working for the Canadian National / Illinois Central Railroad. Brother Walters represents BLET Division 10, which was chartered on January 1, 1863. 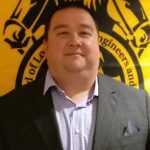 Brother Leschina represents BLET Division 32 which was chartered on January 1, 1865 and represents Locomotive Engineers working for the Burlington Northern – Santa Fe Railroad. 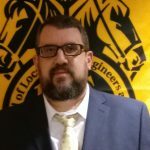 Brother Lewkowycz represents Division 40, which was chartered on September 1, 1987 and represents Locomotive Engineers working for Amtrak. 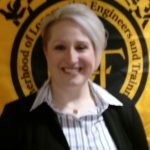 Sister Bateman represents BLET Division 45 which was chartered on September 1, 1987 BLET Division 10 represents Locomotive Engineers working for Amtrak. Brother Stewart represents BLET Division 96 which was chartered on January 1, 1869. 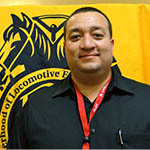 Division 96 represents Locomotive Engineers working for the Union Pacific Railroad Railroad. Brother Sermersheim represents BLET Division 100 which was chartered on January 1, 1877. 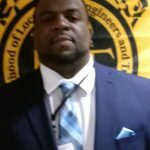 Division 100 represents Locomotive Engineers working for the CSX Railroad. 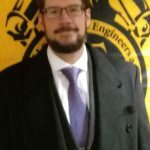 Brother Carter represents BLET Division 109 which was chartered on October 1, 1993 Division 109 represents Locomotive Engineers working on the Gateway Western Railroad. 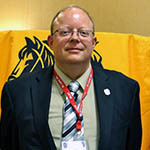 Brother Sanderbeck represents BLET Division 118, Belleville, IL. 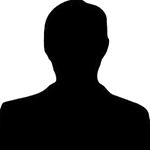 which was chartered on October 1, 1993 Division 118 represents Locomotive Engineers working for the Union Pacific Railroad. 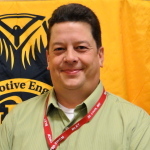 Brother Young represents BLET Division 131 which was chartered on August 1, 1994 Division 131 represents Locomotive Engineers working on Metra Electric. Brother Martin represents BLET Division 135 which was chartered on February 1, 1995. Division 135 represents Locomotive Engineers working for the Burlington Northern-Santa Fe Railroad. Division 155 Represents Locomotive Engineers working for the Norfolk Southern Railroad. 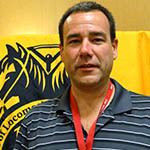 Brother Alexander represents BLET Division 184. Division 184 Represents Locomotive Engineers working for the CN-WC. 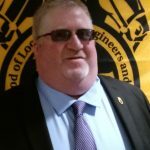 Brother Billingsley Represents BLET Division 251 which was chartered on January 1, 1972 Division 251 represents Locomotive Engineers working for the Union Pacific Railroad. 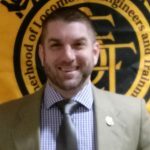 Brother Wasniewski represents BLET Division 302 which was chartered on January 1, 1885 Division 302 represents Locomotive Engineers working for the Norfolk Southern Railroad. 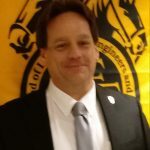 Legislative Representative for BLET Division 404 – Portage, IN. Brother Hewitt represents BLET Division 474 which was chartered on August 1, 1986 Division 474 represents Locomotive Engineers working for Amtrak. Locomotive Engineers working for the Canadian National / Illinois Central Railroad. 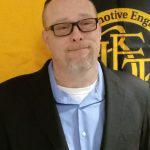 Brother Grigsby represents Division 602 which was chartered on January 1, 1903 and represents Locomotive Engineers working for the Canadian National / Illinois Central Railroad. 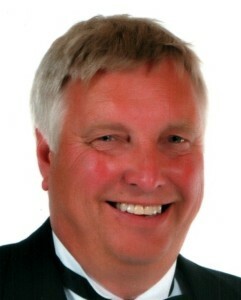 Legislative Representative for BLET Division 613 – Dyer, IN. 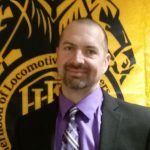 Brother Thielman represents Division 613 which was chartered on January 1, 1903 and represents Locomotive Engineers working on the Union Pacific Railroad. Brother Richardson represents BLET Division 644 which was chartered on January 1, 1904. Division 644 represents Locomotive Engineers working on the Burlington Northern-Santa Fe Railroad. 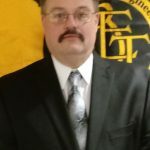 Brother Chris represents BLET Division 683 which was chartered on January 1, 1903 and presently represents members working on the Union Pacific Railroad. 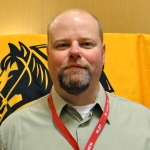 Legislative Representative for BLET Division 790 – Middlesbury, IN. Brother Fuentes represents BLET Division 790.